Would you wish to have a team of contractors work on your house who are using outdated information and equipment to build it? Probably not, yet many organizations do precisely that every single day. Job descriptions are out-dated or were written by individuals who had limited knowledge of the actual work being done by employees. Core competencies for roles are also not defined and career pathways are ambiguous at best. Leaders and managers of high performing organizations have clearly defined job descriptions that are alive and tell the accurate story of what the job entails. Competencies are mapped to the job and communicated in a manner that allows employees to have an active role in their development. Emerging Leaders Institute (Eli) can provide your organization with valuable strategies called Foundations for Talent Management which will help your organization solve this problem and have a competitive advantage in the marketplace. These strategies are grounded in research by ASTD. Aids associate planning and development based on measurable competencies. 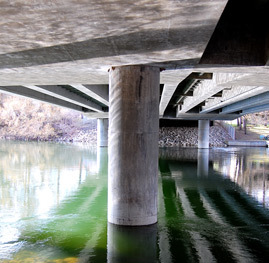 Putting measurement back into talent management. Attracting and Retaining Critical Talent- Is your organization attracting the right people? Eli uses a series of tools and techniques to guide employees to review their position by looking at their Primary Area of Responsibilities (PAR’s) and Duties. Each duty associated with a PAR will be measured by three key components: critical to the business, frequency, and difficulty to learn. 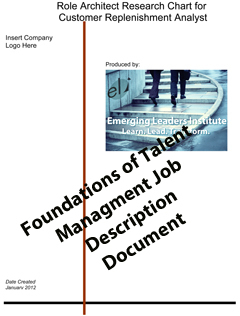 Eli will help your organization to identify competencies for each position. Identified competencies can be integrated into interview guides or recruiting strategies to ensure you are attracting the right person for the right job. Eli can work with your HR department to understand how the metrics obtained for “new in position” can be used as a benchmark when rating selected candidates. Identifying Learning Gaps – It is critical to identify learning gaps and incorporate plans to help close those gaps. Often learning gaps are not identified until it becomes a performance issue. The data collected and analyzed by Eli during the role defining workshop identifies areas of the job that are more difficult to learn. This information can be used to develop training modules to address those needs. Eli also uses assessments to help the organization to identify key competencies associated with each role. The competencies are assessed for two components: new in position and experienced. Management can then use this information to measure an employee’s performance against benchmarked ratings. Associate Planning & Development – How do organizations move employees from their current state to a future state? From the Competency Modeling Workshop, the data collected by Eli will be presented in a manner that employees and managers will be able to use it as a benchmark to rate performance. They will be able to see potential gaps and have conversations with line managers on how to close those gaps. Also employees will be able to obtain reports for desired positions and conduct self-assessments and incorporate findings into development plans. 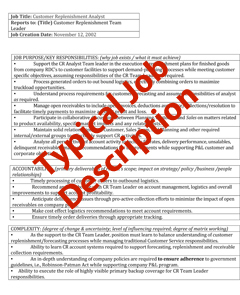 Which job description below most closely resembles your organizations job descriptions?